We try to be as prompt as possible with our communication, but sometimes things happen. We will respond to your inquiries and orders within 48 business hours unless otherwise posted. Invoices must be paid within 24 hours after receiving. Unpaid invoices exceeding 24 hours will be cancelled and risk not being reinstated. Orders will not be booked on the calendar until payment is received, so to avoid risking someone else booking your spot, you should pay asap. The exact pickup address will be provided once payment is confirmed. For general reference, the location zip code is 77080. Bel's Bakes does not schedule pickups on the weekends. All weekend orders will be ready for pickup on the preceding Friday. 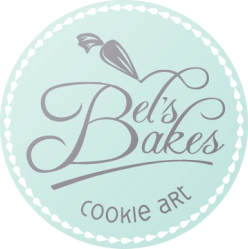 Once your order is exchanged Bel's Bakes is no longer liable for any damaged cookies. This also applies to exchanges via a third party. Bel's Bakes assumes the right to refuse service to anyone or any organization for any reason and at any time.